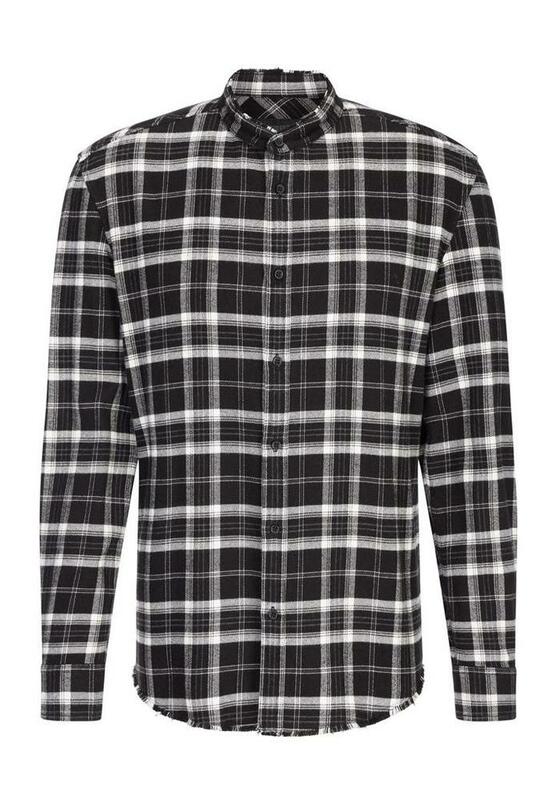 This Drykorn Donny shirt has a checkered pattern in black / white and a short Mao collar. By using flannel cotton, this shirt is warmer than 'ordinary' cotton. 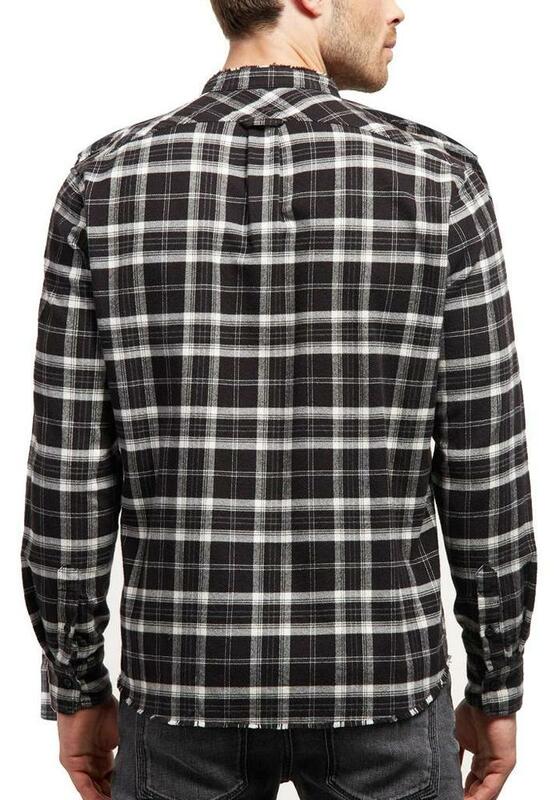 The collar and bottom have a frayed edge which gives a tough look. On the left is a breast pocket. The fit is slim-fit and size is normal. The Drykorn Donny shirt 47258 is made of 100% (flannel) cotton.